He did this for your sake, to shoyu all these scenes in a roe. 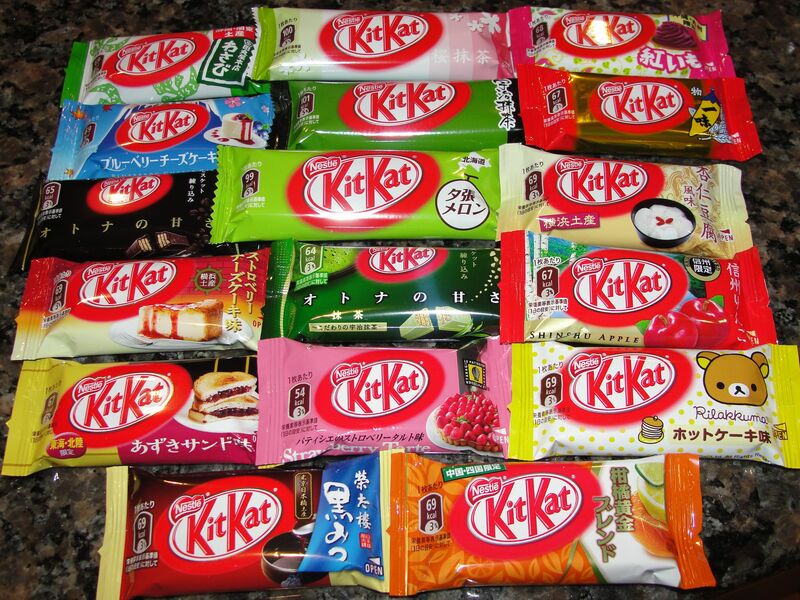 Crazy times deserve a crazy food, and Kit Kat is going for the gold. A Kit Kat specialty shop is opening in Tokyo and to mark the occasion, they’re making special Kit Kat sushi, which is exactly what it sounds like. But don’t worry, there isn’t actually fish in them. 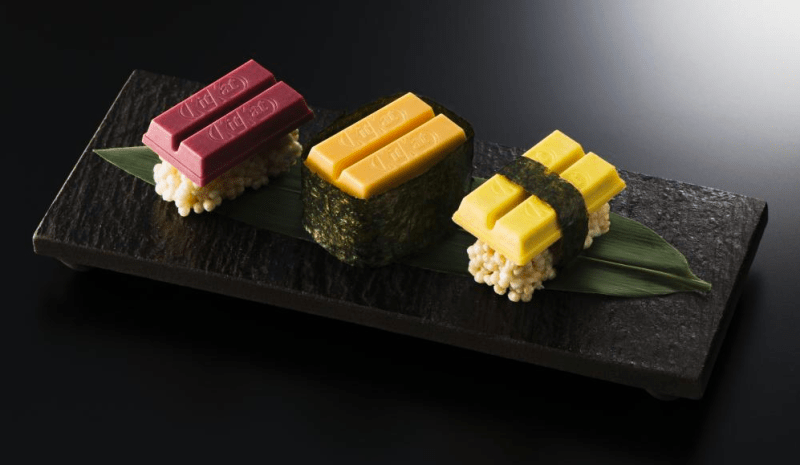 The Kit Kats are served over puffed rice and covered in white chocolate, and are only made to look like sushi. The tuna is raspberry flavored, the Tamago is pumpkin, and then Uni has melon and mascaraone cheese. All are wrapped in seaweed. No subtitles available for this one, but you can get the idea of what's going on pretty quick. (I went out for sushi with my grandma. She just gave me the Heimlich after i choked on the sushi and the the waiter brought fortune cookies.) Grandma: What does yours say, "Take smaller bites"? The Bet: That This Boy Could Eat a Single Piece of Sushi Without Gagging. The Results? Hilarious. Set a Course for Tasty Fish! Pick up your own set here! This Sushi is Almost too Pretty to Eat. Almost.